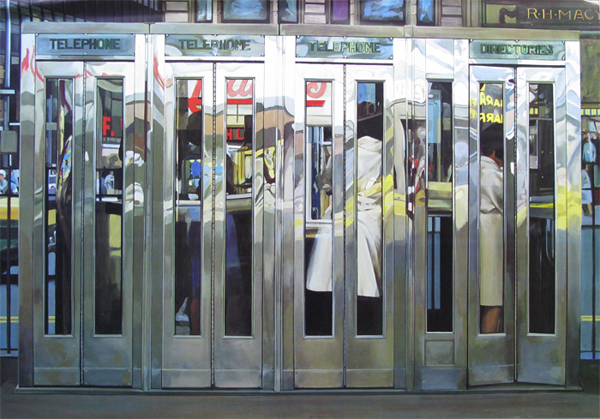 Richard Estes (b. 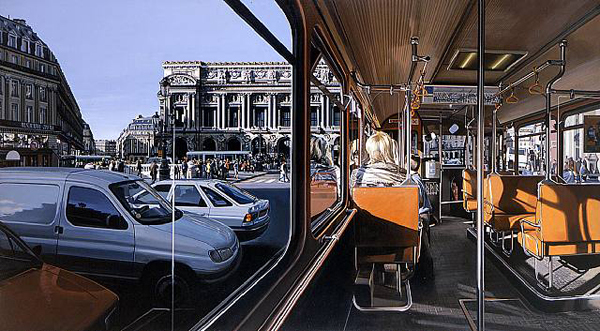 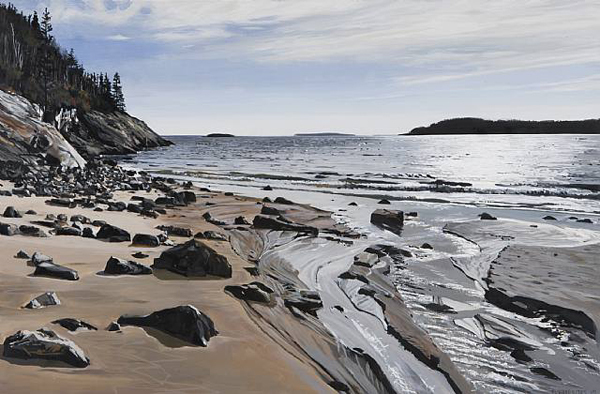 May 14, 1932, Kewanee, Illinois) is an American artist, best known for his photorealist paintings. 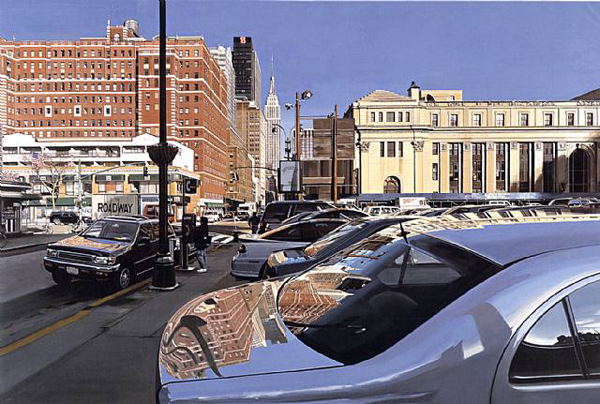 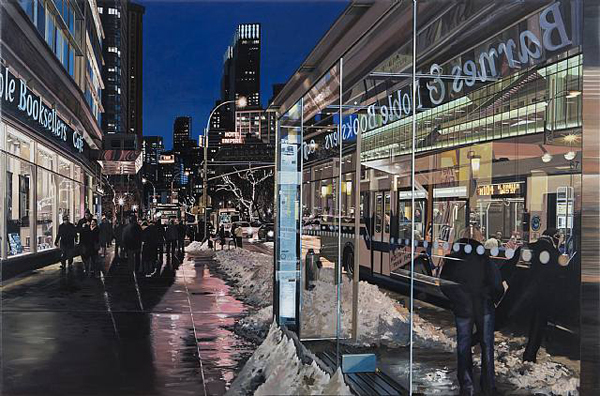 The paintings generally consist of reflective, clean, and inanimate city and geometric landscapes. 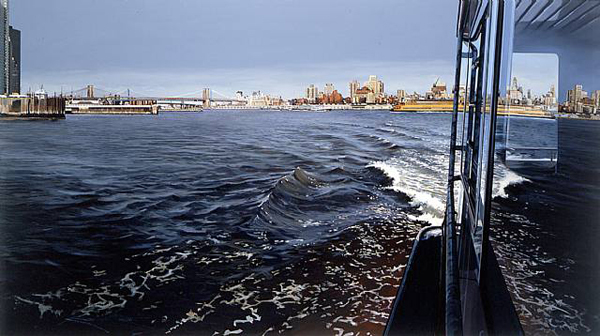 He is regarded as one of the founders of the international photo-realist movement of the late 1960s, with such painters as Ralph Goings, Chuck Close, and Duane Hanson.